Just a short drive from Blue Ridge on Hwy 5 before you get to McCaysville you will find us on the Right. We ship Rum cakes to your friends and family in the US! People often ask us, “Since you’re not Amish, why did you open an Amish grocery store?” The answer is simple: We believe in the products. So much of our food today has ingredients in them that we neither need nor want. We believe that our products are a much healthier alternative. We offer samples of many of our products to our customers because the taste says it all! We are extremely proud of the products we carry. North Georgia Cabin Rentals, Northeast Georgia Cabin Rentals near Blue Ridge, Georgia: Cuddle Up Cabin Rentals offer newly built, luxury mountain, lake and river cabin rentals in the Blue Ridge Mountains, on the Ocoee River and near Lake Blue Ridge. 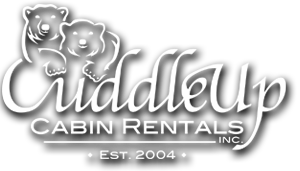 Find your next luxury Blue Ridge Ga Cabin Rental! We are your friendly stop for gourmet (downtown McCaysville) local Tennessee cheddar cheeses from Sweet Water Valley Farm. Boars Head Salamis and imported cheeses. We feature Fannin Brewery Craft Beer and local craft beer from: Green Man Brewery, Ashville, NC Red hare in Marietta, GA Tiny Bomb Brewery, Memphis TN Sawworks Brewery Knoxville, TN Selection changes weekly. Fill up a growler or buy a six pack of the craft beer. We also carry Glassware, T-shirts and Gift items. We have smoothies, hot and cold sandwiches, salads and so much more, stop by and look at all our flight artwork on the walls. Presents of Mine specializes in personalized and monogrammed gifts for all your gift giving needs. We pride ourselves on having a large selection of gift items for weddings, graduations, new babies, birthdays, or whatever your gift giving occasion. Most of our items are personalized through monogramming on-site with outstanding quality service. Come visit us in beautiful downtown Blue Ridge, Georgia at 544 East Main Street.